This class is geared for Beginner to Intermediate Cake decorators. My goal is to teach you techniques that can be applied to every fondant order taken. Whether you've been working with fondant for years, or you want a non-intimidating way to learn how to work with this popular medium, this Sweet Cake is going to be a great opportunity to learn & perfect your fondant skills. 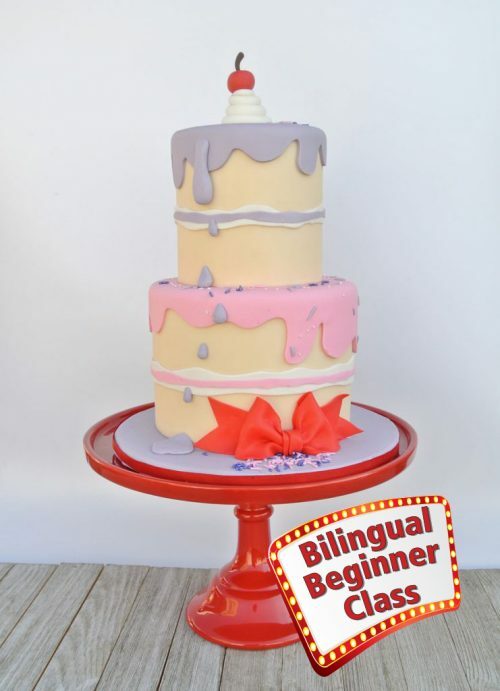 In this 3-hour class, you will learn how to correctly cover a Dummy Cake with fondant, properly stack and dowel each tier to assure stability. Other skills covered in the class include: creainge an inside-out cake effect, fondant bow making, and decorating the cake to catch the viewer's eye. In addition, we will discuss how to properly price this cake. Each student will walk away with a completely decorated, beautiful 2-tier cake. Box to take home project - 10 x 10"
My name is Veronica Pepsy Garcia, but I go by my middle name, Pepsy. I am a Northwood University Graduate with a bachelors degree in Business Administration, a Professional Cake Designer Graduate from the Bonnie Gordon College of Confectionery Arts in Toronto, Canada and a Professional Baking and Pastry Chef Graduate from Cerritos College. I run my custom cake business from home and host a weekly free demonstration on YouTube. 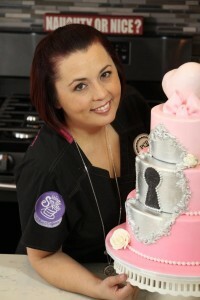 I am currently transitioning to becoming a pastry and sugar decorator instructor for events across the country. My goal is to teach the upcoming passionate sugar artist techniques that can be applied to all orders.